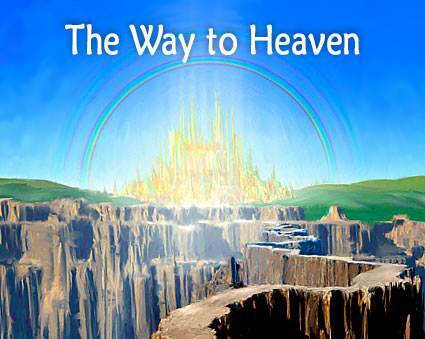 presents "The Way to Heaven"
The Bible also teaches us that God is in three persons—Father, Son and Holy Spirit. 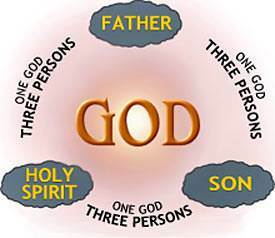 The Father is God, the Son is God and the Holy Spirit is God. These three persons are one God. God the Father is in Heaven. No man has ever seen God the Father. God the Son is the Lord Jesus. He came into the world as a little baby. We celebrate His birthday on Christmas. The Lord Jesus lived on earth as a man for thirty-three years. He died on the cross for our sins. He was buried, but He rose again on the third day. He ascended into Heaven and is there today. He is our living Savior. God the Holy Spirit cannot be seen, but He is a real person, equal in power and glory with the Father and the Son. The Holy Spirit lives in the hearts of all those who believe in Jesus. Let us consider some more things that the Bible tells us about God. No matter where you go in the world, God is there. When we look around, we cannot see God, but He is always there with us. He is on the other side of the earth too. And He is high above us in the heavens. Because we are human beings and have bodies, we can be in only one place at a time. Because God is God and because He is spirit, God can be everywhere at the same time. This means that God has always been and He always will be. For those who love God, it is very comforting to know that God knows the past, the present, and the future. All things are in His hands. 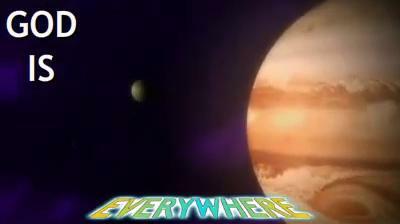 Even though God is the great, exalted Ruler of the universe, you are very, very important to Him. He knows where you live. He knows what you do every day. He knows all about you. He even knows how many hairs you have on your head! God knows all of your problems. He knows your every need. He is never too busy to hear you when you pray. He knows, He loves, He cares! This means that God is always kind. God wants to be our friend, and He wants us to be His friends. He is the best friend we could ever have. God is good to all people. He is even good to those who do not love Him. Because God is righteous, He must punish all sin. God cannot overlook our sins or pretend that He does not know about them. But God has made a way for us to be forgiven of all our sins. He sent His Son Jesus to die on the cross for our sins. When we take the Lord Jesus as our Savior, God forgives us of all our sins and makes us His child. This means that God always keeps His word. God always does what He says He will do. The Bible says that God cannot lie. This means that God never changes. He is always the same. 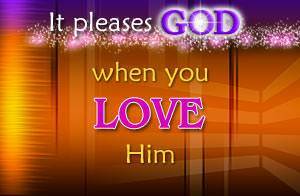 After learning about how great God is and how much He loves you, it makes you want to please Him, doesn't it? David was a great man of God in the Bible. He said, I will love You, O Lord! This pleased God very much. It will please God very much if you choose to love Him as David did. 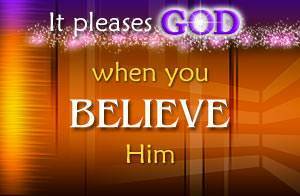 We believe God when we believe the Bible. God gave us this wonderful book that we might know the truth. The Bible tells us the truth about ourselves, about sin, about Satan, about salvation, and about God. The Bible is the most important book in the world because it tells us how we can be saved. 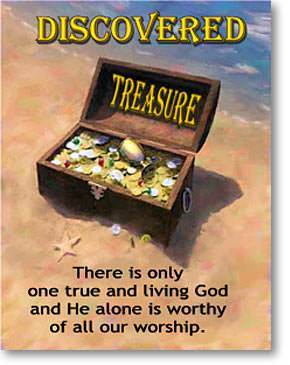 There is only one true and living God and He alone is worthy of all our worship. 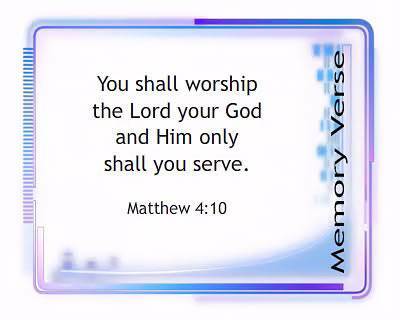 How do we worship God? 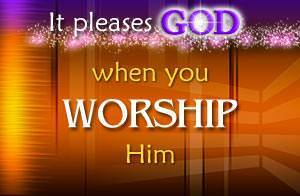 We worship Him when we love Him with all our heart, when we praise Him, and when we thank Him for all that He is to us. Will you take time to worship God right now?